When Harold Pinter died in December, a curtain fell not only on a life of profound artistic achievement but on an era in the English-speaking theater. As Pinter’s life and work were chewed over in obituaries and retrospectives, the disjunctures of the dramatist’s life and work forced themselves into view. A quick temper bubbling over the surface of a deep reservoir of generosity. A messy and devastating midlife crisis and divorce–mined for the stage in Betrayal (1978)–that settled into a deeply devoted second marriage. A playwright celebrated for his audacity and mystery who championed (and directed) the work of Simon Gray–one of England’s most traditional modern playwrights. A devotee of cricket who tirelessly lashed out against US military interventions, from Latin America to Iraq to Kosovo. Whatever his controversies and contradictions, his legacy as a writer is assured. 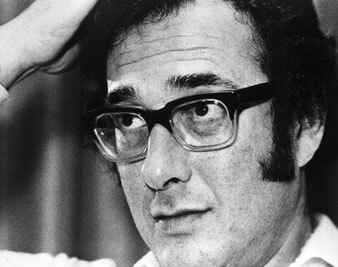 Pinter is among the few writers one can point to as decisively influential on a genre. (Among fellow Nobelists, one would have to cite Hemingway on fiction, perhaps, or T.S. Eliot on poetry.) There is not a playwright working in English after 1968 or so who doesn’t owe something to the stripping down and refurbishing of theatrical language in Pinter’s early masterworks–a meld of poetry, jargon, slang and strategic silences. Just as crucial, however, was the way Pinter unhitched English-speaking drama from its most-treasured certainties–clear narrative, defined character. Beckett and Kafka are obvious wellsprings for works such as The Caretaker and The Birthday Party, but Pinter’s innovation was to root existential dilemmas in the quotidian. His early plays are set in dingy flats and seaside resorts, filled with junk and servings of corn flakes for breakfast. When Pinter finally pulls away the threadbare rugs of those same rooms, the audience sees that there is no floor at all–but rather a moral and temporal abyss. There’s shock and awe in this magic act but also palpable surprise and comedy. It’s breathtaking writing–especially when acted well and seen for the first time in performance. These arrows are in every dramatist’s quiver now. But such an outsized influence as Pinter’s provokes as much resentment as gratitude among playwrights. A shadow so pervasive is, in its way, oppressive–particularly when Pinter’s early plays (and his statements about them) are so slippery, fiercely resistant to ascribing specific meanings and focused resolutely on the search for truth within the process of staging the play. The terms of Pinter’s achievement are the central problem of his influence. His knotty and unexpected crises and epiphanies (or are they?) in narrow rooms are an inescapable helix of our theatrical DNA. His plays offer fruitful challenges–and precise choreography–for actors and directors. But they carry the considerable benefit of being much easier to stage in the desiccated economy of today’s theater than the complex Brechtian political epics of, say, Tony Kushner or Howard Brenton. Or even Caryl Churchill’s epic disjunctures of gender and politics in time and space. But any examination of Pinter’s career after the triumph of his most haunted and thorny play–No Man’s Land (1975)–leads inevitably to the knottier question of his political turn in the ’80s. It is a story quite different from the one I have just related–a tale of a writer’s intense artistic and political self-expression, shifting gradually from the specific to the general, and, while rarely naïve, often unfruitful. Great artists possess political capital–to agitate, if not legislate. And after an early career spent battling critical attempts to pin down the provocative ambiguities of his work, the early plays gradually took on topical meanings as Pinter offered increasingly high-profile statements on politics–and, in particular, American foreign policy. And his later plays, such as One for the Road (1984) and Mountain Language (1988)–both of which deal explicitly with torture–were quite comfortable in their topicality. These plays still possess the power to shock, but they also lack the awe-inducing revelations of mysteries and depths of Pinter’s early work. Writing in the Observer shortly after Pinter’s death, Nick Cohen spoke eloquently about the numerous contradictions into which the dramatist’s strong indictments of US foreign policy led him–including strong support for Slobodan Milosevic in the 1999 NATO bombing of Kosovo and Serbia. But I am also interested in the effect it had on Pinter’s art. In later years, he increasingly eschewed writing plays in favor of quite didactic and unsuccessful poetry–in which the acid of his invective against the United States corroded his language.